We know that so many moms are often the ones behind the camera and seldom get great images of them WITH their kids! 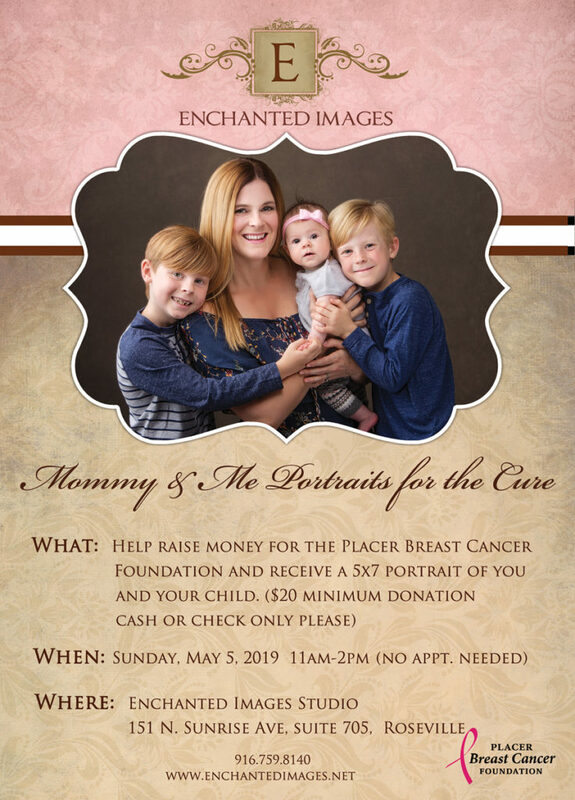 This event makes sure that moms get a great photograph of themselves and their kids for a change! (and makes a great Father’s Day gift…:-). In addition to that, it serves a great purpose; 100% of your $20 donation will go to the Placer Breast Cancer Foundation, a local organization helping fund research to find a cure for breast cancer. This is also a great opportunity for grandmas/aunts/mom-figures to get in the mix; (you may have various groupings–$20 donation per grouping/5×7). This year we will be using this beautiful dark neutral background, which makes choosing wardrobe easy! Prints will be available for pickup on Friday, May 17 and Saturday, May 18 from 11am-12pm (if you choose to purchase a digital image, those will be emailed by Wed., May 8).